For the third summer in a row, six college-aged young men joined us on the streets on Fridays as a part of a summer program called the Dallas Fellows. They work Monday through Thursday in business, and as a part of the program get to volunteer their time on Friday. They were eager to join us in befriending the homeless and bridging the relational gap to change lives. We talked at the beginning of the summer about our assumptions around homelessness. Some questions we explored were "What are our stereotypes about how people become homeless and why they stay homeless? Addiction? Laziness? Bad luck?" We talked through the discomfort we often feel passing a homeless man or woman on the street. Should we give money or not? We encouraged the Fellows to take their questions with them and let their experiences over the summer help provide some answers. The Fellows spent 6 weeks with us getting close- physically, emotionally, and spiritually- to the homeless. They sat and talked with our homeless friends. They laughed. They listened. 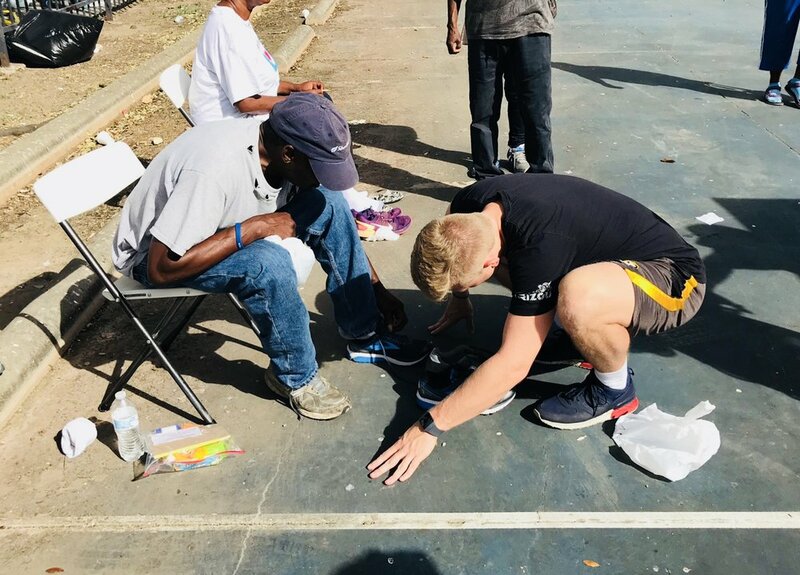 They washed their feet and provided a pair of shoes. They had a picnic and played basketball. They prayed together. They ate popsicles and watermelon. They connected, human to human. 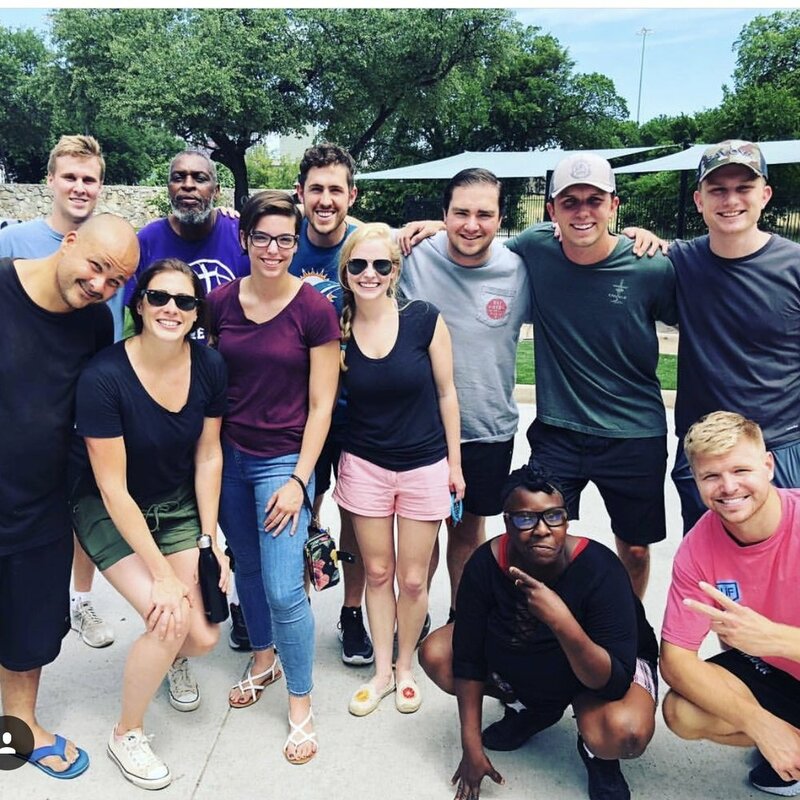 The Fellows were brave and vulnerable, opening their summer and their hearts to the homeless in our city. The thoughts shared below are from one of these young men, John Pottebaum, about what his experience taught him. I have no appreciation for homeless people. In fact, I view them as second class citizens, gripped with addictions to drugs and alcohol. Or at least, that is the opinion I held before spending this summer with The Human Impact. Building relationships with individuals who are subjected to the hardest trials life has to offer opened my eyes to a lot of things. First of all, it showed me that everyone who is homeless is not there because of their own decisions. I met a number of people who were on the streets because of illness, poor family situations, or just moving between homes. It emphasized the fortune I have with family and friends who have my back if I ever get into trouble. It also taught me about myself. There were individuals who didn’t own anything but the clothes on their back, yet they made a bigger impact on me than men who were worth millions of dollars. One of those individuals was Edward. Edward has been battling with staying sober for years. Listening to his struggles and how he is fighting to defeat them was an eye opening experience to me. It was as if I expected him to roll over after one attempt at sobriety. But hearing his struggle related it more to my life. It gave me a heart for those who have been dealt a bad hand. It has changed the way I am managing my meager supply of funds. College student money is limited, but I have committed to giving a certain percentage of my earnings this semester to those less fortunate. This conviction would have been impossible without the relationships I built this summer.